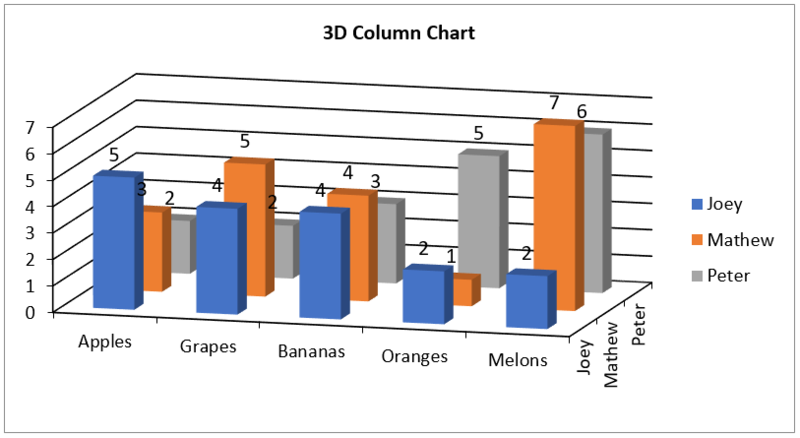 How to set gap depth for Excel 3D charts in C#, VB.NET? This article explains how to set gap depth for 3D charts using XlsIO. Gap Depth is the distance between the data series in a 3-D chart, as a percentage of the marker width. The value of this property must be between 0 and 500. This gap depth variation can be achieved in XlsIO, using GapDepth property. The following C#/ VB.NET complete code snippet shows how to set gap depth for 3D charts using XlsIO.